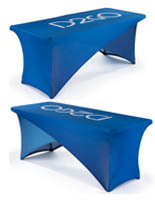 This custom printed 8' stretch fit tablecover is an ideal accessory for trade shows or promotional events. 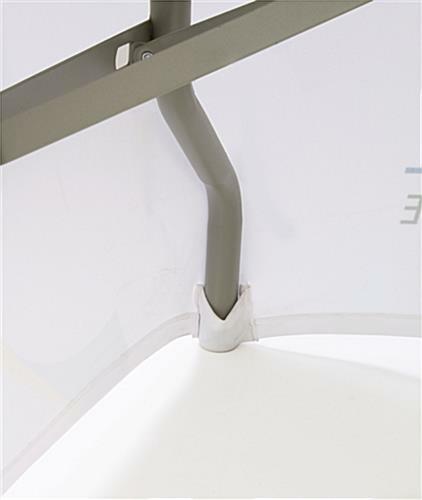 The white polyester cover is designed with foot pockets that allow it to fit snugly over standard 8-ft folding tables. Each eye-catching printed 8' stretch fit tablecover has a closed back with zipper and a 51' x 17" imprint area on the front. 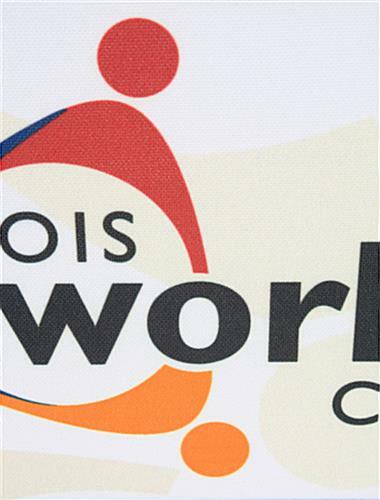 Full color graphics are ideal for showcasing logos, messaging and other branding or sales information. The white branded 8' stretch fit tablecover is wrinkle resistant and washable. This event accessory is an ideal choice for attracting and informing customers as well as for dressing up collapsible furniture in any environment. Please note: Prices are based on single-image artwork. Orders with multiple graphics must be placed as separate orders.